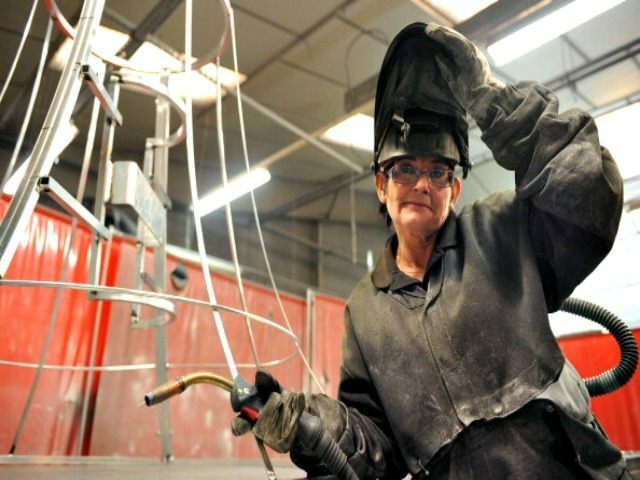 Data released from the Bureau of Labor Statistics (BLS) show the U.S. lost 9,000 manufacturing jobs while gaining 19,000 government jobs in October. Seasonally adjusted monthly employment data show government jobs grew from 22,216,000 in September to 22,235,000 in October. The number of manufacturing jobs, however, fell from 12,267,000 to 12,258,000. 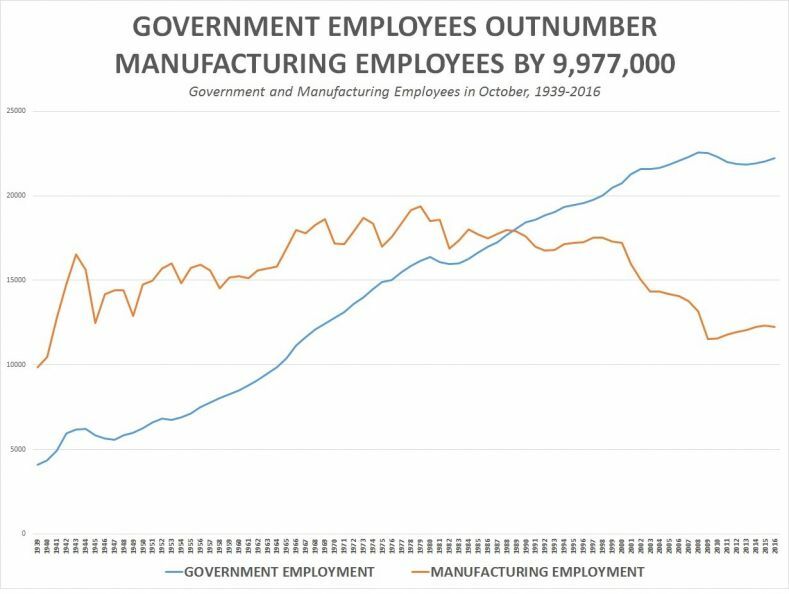 The total number of government employees now surpasses manufacturing workers by 9,977,000. As CNSNews.com reports, BLS data since 1939 show manufacturing jobs have outnumbered those in government, peaking in 1979 at 19,553,000, until 1989, when the number of government employees began to slip ahead of manufacturing workers. Since then, the number of government jobs has seen dramatic increases over those in manufacturing. Since 1979, when government employees numbered 16,045,000, the number of government jobs has jumped by 6,190,000, or 38.6 percent.